River City Art Association will kick off its 10th Annual Juried Exhibition with a celebration on Friday, Aug. 3, in First Financial Bank Plaza on Wabash Avenue in downtown Terre Haute. The First Friday opening reception is scheduled 6 to 8 p.m. in the bank lobby, accessible by the west/Sixth Street entrance. A commemorative cake and special presentations will recognize RCAA’s seven charter members Ruthann Brady, Kit Fisher, Adrianus Fraza, Monty “Indiana” Jones, Debi Martinez, the late Marty Martinez and the late Rob Robbins, who founded the art association in August 2008 in the Martinezes’ Raven Art Gallery in Terre Haute. Since the first juried exhibition in 2009, the open competition has featured artwork by an impressive number of emerging as well as professional Indiana and Illinois artists. At 6:30 juror David Erickson, professor emeritus of art at Indiana State University, will announce winners in five categories as well as the Best of Show. Erickson taught printmaking, papermaking and drawing for more than three decades. In addition, he exhibits his work locally, nationally and internationally, and is active within the community with theater set designs as well as large-scale murals and tile mosaics. He is acknowledged as a major contributor to the growth of handmade papermaking in America. The Artists’ Choice Award will be determined from votes by participating artists attending the reception, and the People’s Choice Award from votes by guests at the reception and bank patrons visiting the exhibition throughout August. 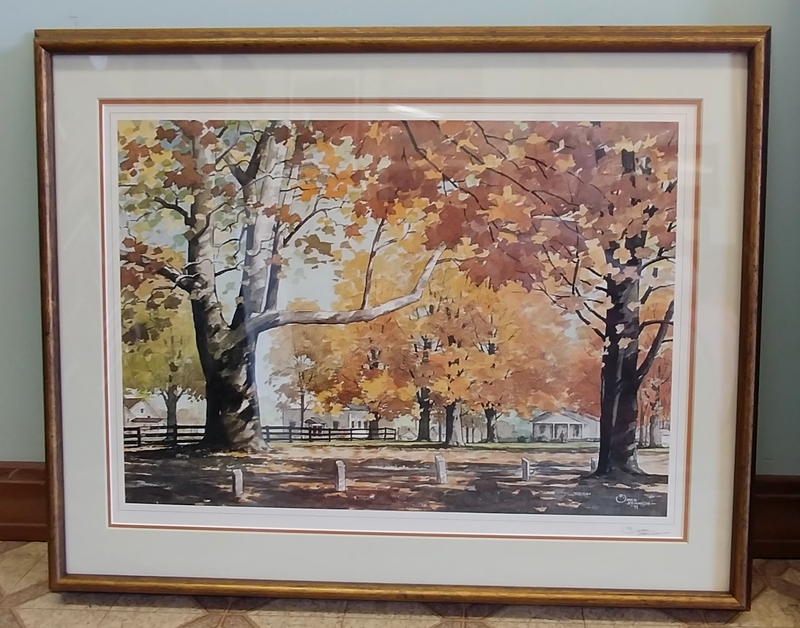 Proceeds from a silent auction of a lithographic print by Indiana watercolor artist D. Omer “Salty” Seamon will be used to further RCAA’s mission to promote, support and enhance an appreciation of the visual arts in the Wabash Valley. All works in the exhibition can be viewed during regular banking hours through Aug. 30. Winning artwork will be featured again in a September show in First Financial’s Springhill banking center at 4500 S. U.S. 41. Event sponsor First Financial and vice president of marketing Terry Tevlin invite the public to the free reception. For more information visit RiverCityArt.org or contact RCAA Past President Todd Stokes at 812-232-0048. This entry was posted in Art Exhibition, Special Event and tagged "Indiana, Art, artists, D. Omer "Salty" Seamon, David Erickson, drawing, First Financial Bank, Illinois, Indiana State University, lithographic print, papermaking, printmaking, Raven Art Gallery, River City Art Association, Tenth Annual RCAA Juried Exhibition, Terre Haute, Wabash Valley, watercolor. Bookmark the permalink.